Private retreat with mid-century flair! Unwind in this serene home surrounded by stunning mountains. This totally remodeled home has a prestigious location on a large 12,200 sq. ft. lot in a quiet section of Indian Wells. This 3 bedroom 2 1/2 bath home has been stylishly appointed and is offered furnished. The expansive, open floor plan features a gourmet kitchen and vaulted great room which opens seamlessly into the large resort-like private backyard and pool area. Designed with great attention to detail, the mature backyard features a large sparkling pool and built in BBQ and has amazing views of the Santa Rosa Mountains. Multiple seating areas offer both sun and shade. Relax at night with friends around the tranquil fire pit. 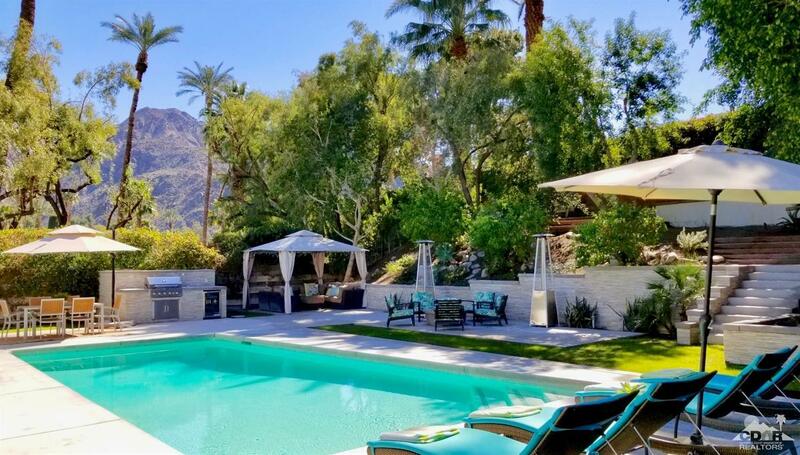 This home is perfect for year-round indoor/outdoor entertaining and the ultimate desert lifestyle. In addition to 20% discounts on food & spa service, Indian Wells residents can golf at Indian Wells Golf Resort for reduced rates.